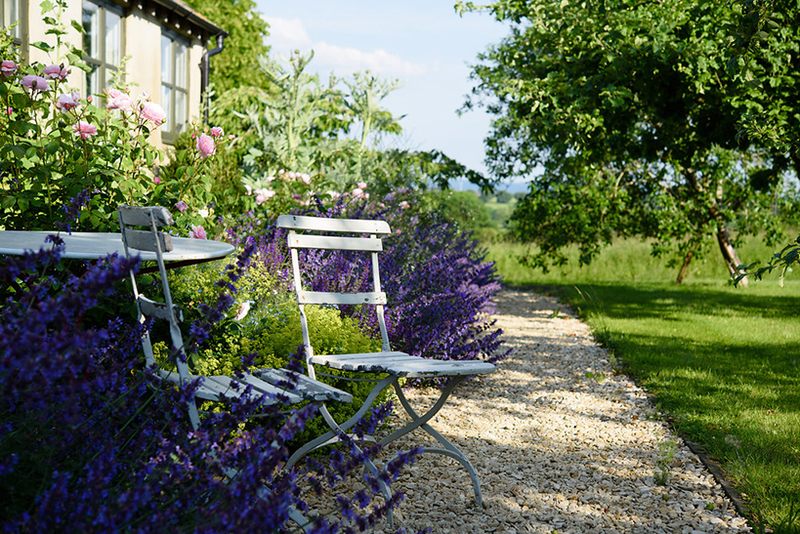 Dale & Heybrook Garden Designers designed a low-maintenance garden for this rental property. 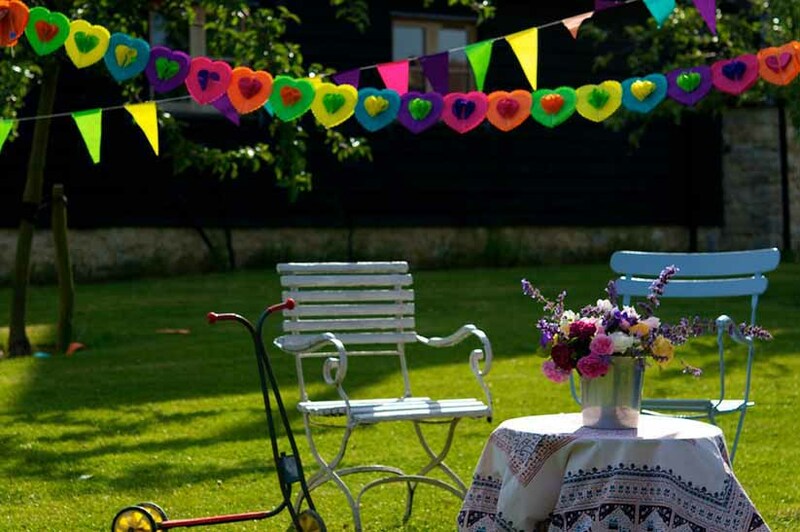 Whilst tenants are unlikely to do much gardening, they certainly appreciate a beautiful garden in which to relax, eat out and pick a few flowers for the table. 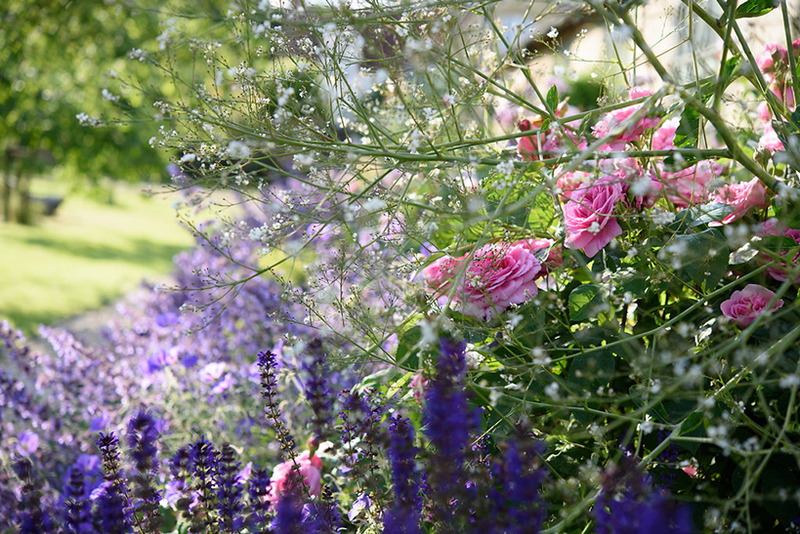 A simple, generous border is planted up with a few of our favourite roses and a handful of choice perennials. The planting is anchored by giant evergreen box pillars. 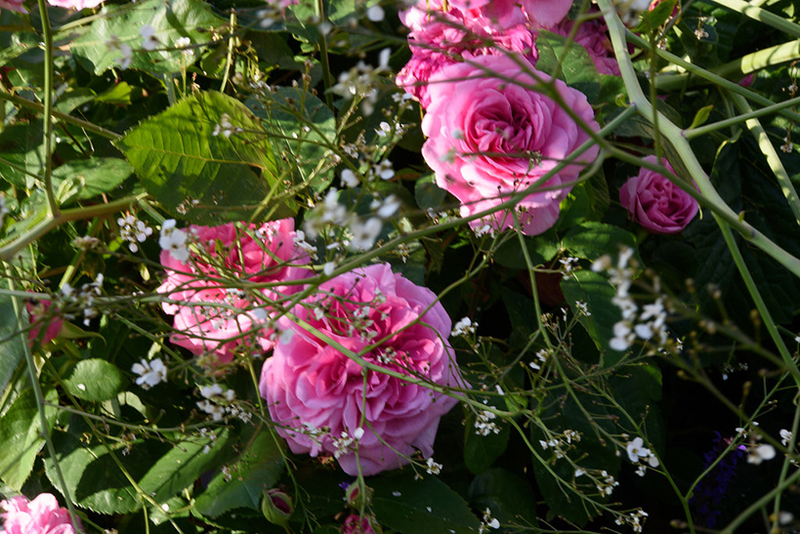 At Dale & Heybrook Garden Design we constantly monitor new and old plants and we selected these roses for their health, long-flowering and scent. The perennials are generous, easy, long-lived performers that just keep going year after year. 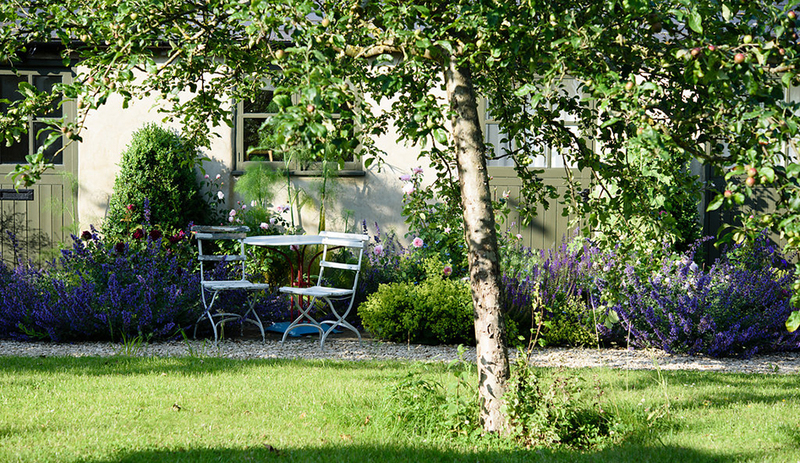 We planted the rest of the garden as an orchard with semi-mature fruit trees which are now becoming quite splendid. Their spring blossom and autumn fruits add greatly to the charm. 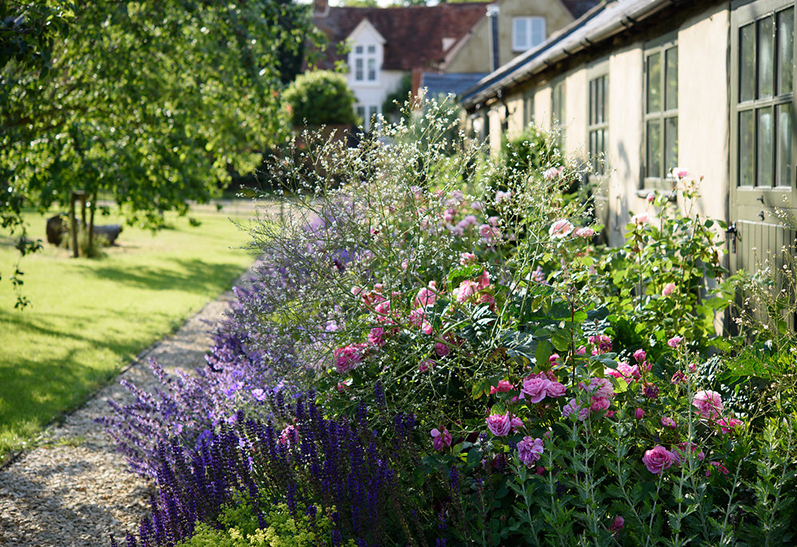 The whole is maintained by Dale & Heybrook Garden Design by weekly mowing of the grass; a twice-yearly overhaul of the borders and annual pruning of the box, roses and fruit trees.